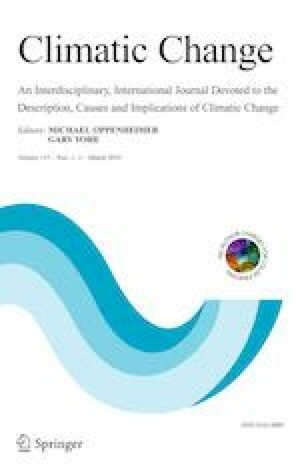 Extreme weather events represent a large risk to food production systems. In this study, we evaluated the impacts of the 2011–2012 drought in Mexico, the worst in the last 70 years, on free-ranged livestock populations to link extreme weather events and production. We also considered the potential prevalence of recurring droughts under two contrasting future climate scenarios to examine what could happen over this century. Our results showed that cattle and goat stocks decreased about 3% in response to the drought countrywide. Regionally, the changes in cattle and goat populations generally mimicked the precipitation anomaly, with the strongest reductions across the driest areas in central and northern Mexico. Our work showed that the biophysical and management components of livestock production interact depending on the regions and the type of livestock, leading to a mosaic of spatial responses. It seems that the management of large herds limits the economic viability of drought crisis management options such as the importation of fodder and water, or by moving the animals to other pastures. Sheep herds were much less affected since more than 50% of the total sheep stock is raised in wetter states, which showed a relatively small (~ − 10%) precipitation anomaly during the drought. Under the severe climate change scenario, a greater frequency of extremely dry years (once every 3 years) would have negative impacts on livestock production regionally. Climate change together with already existing trends in overgrazing and soil erosion could further increase the sensitivity of livestock production across the country. • The impacts of the 2011 drought on Mexican free-range livestock were studied. • The biophysical and management components interact to create a mosaic of risk. • Livestock in arid regions with large herds suffered the sharpest population decline. • It took 2 years for cattle populations to recover after the extreme event. • To date, goat populations have not reached the previous stock size. • Sheep were least affected by the drought. The online version of this article ( https://doi.org/10.1007/s10584-019-02373-1) contains supplementary material, which is available to authorized users. We thank the Servicio de Información Agroalimentaria y Pesquera, SAGARPA, México, for data on national and state-level livestock populations, as well as the Climate Research Centre, UK, and the CMIP5 modeling groups for the climatic data. GNMT thanks the Universidad Nacional Autónoma de México for postdoctoral funding, during which part of this research was conducted.